The Sultan Ahmed Mosque, more commonly known as the Blue Mosque, is located in Turkey. 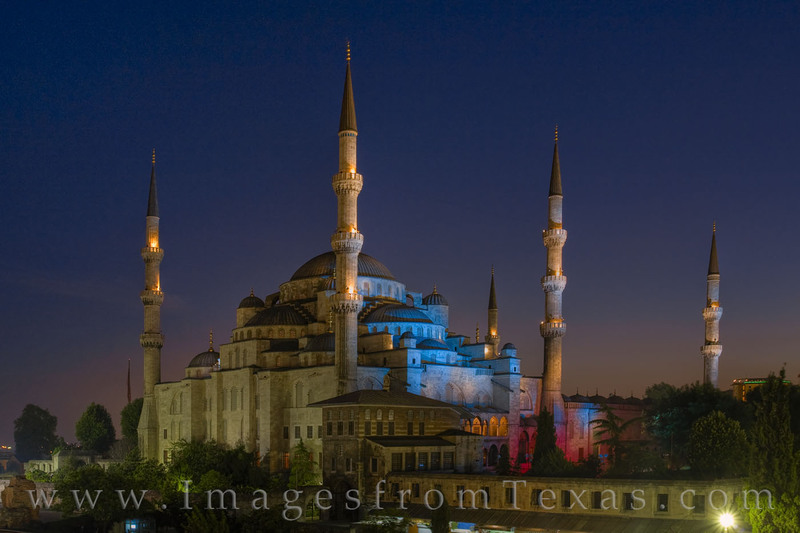 This photograph shows five of the six minarets as the complex is lit up in the evening. The mosque’s construction was ordered by Sultan Ahmet I, and it took 8 years for it to be finished (1609-1617). Along with the nearby Hagia Sophia, the Blue Mosque is a popular tourist site in the bustling city of Istanbul.